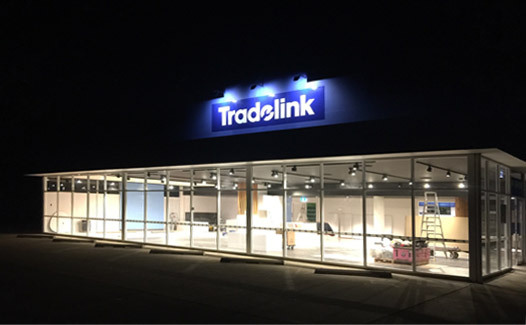 With the opening of their Tamworth store, Tradelink opted for a high quality fit-out. Using multiple layers of light enabled Tradelink to compliment key features and areas of the store. With the opening of their Tamworth store, Tradelink opted for a high quality fit-out. Using multiple layers of light Tradelink is able to compliment and highlight key features of the store, in particular the use of building materials in the fit out.